Children go through different social stages of play. Each stage represents the transition into a new area of social skill, such as going from playing by yourself to learning to play with others. Throughout childhood, play helps to develop vital social skills that allow kids to communicate with others and grow into more socially confident adults. Since they’re playing, they don’t overthink the social part. It just happens naturally. As hard as it is to believe, play begins when your child is born. Something as seemingly simple as watching the mobile above their crib to playing with their own fingers are forms of play. Newborns up to early toddlers often engage in unoccupied play as they start engaging more with their surroundings. Solitary play might not sound like a social stage of play, but it’s incredibly important. Kids play on their own and may not even pay attention to others. Kids first enter this stage as infants and toddlers but learning to occupy yourself is an important social skill used throughout life. Toddlers start getting interested in more social play by watching others play. In the onlooker stage, they start to notice social interactions and want to take part themselves. Parallel play often makes parents think their kids are anti-social. It involves young kids sitting near each other but playing separately. Don’t worry. It’s a crucial stage where kids observe each other. It shows they’re interested in playing with others and starts them on the road to true social play. You’ll notice kids start interacting more with other kids around three years old. They might share toys or talk about what they’re doing. This vital social stage helps lay the foundation for cooperation, communication and making friends. The final stage is cooperative play. This is where kids begin to play with others more and the play becomes more complex. For instance, this is where board games may come into play as children adapt to more organized play that includes rules and guidelines. 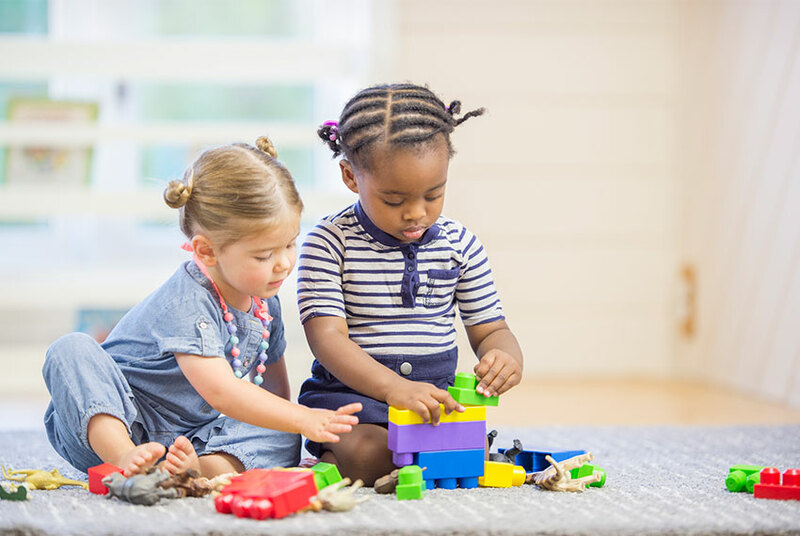 While simply sharing toys is a great way to improve social skills during play, board games incorporate a wide variety of social skills, such as sharing, communication, respecting rules, helping others (especially in cooperative games) and taking turns. Encourage board games and sit down and play along with them. It’s not only fun, but highly social. These six social stages of play serve as the foundation for the social skills for your child’s entire life.